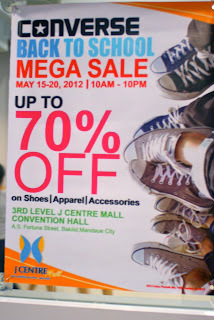 School is about to open and Converse is having a MEGA Sale at J Centre Mall in Mandaue City. Hurry now and head to the JCM Convention Hall at the 3rd Level of J Centre and avail of up to 70% discount on shoes, apparel, and accessories. The sale will be up to Sunday May 20, 2012. 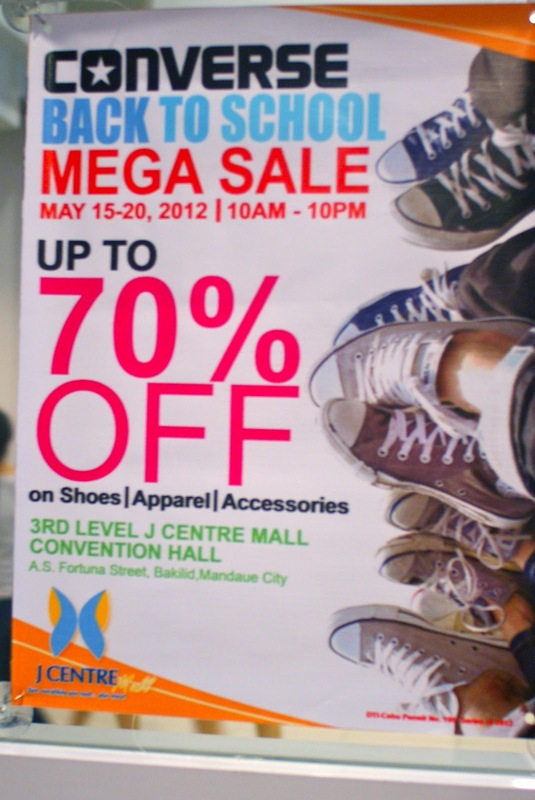 J Centre Mall is located at A.S. Fortuna St., Mandaue City, Cebu.